Ancestry brings the world's most popular online genealogy resource to our library. It offers billions of records in census data, vital records, directories, and photos, and is easily accessible by both hobbyists and professionals. Please note that access is only available within an SDG Library branch. To access, simply Click Here or on the image below while at an SDG Library branch. 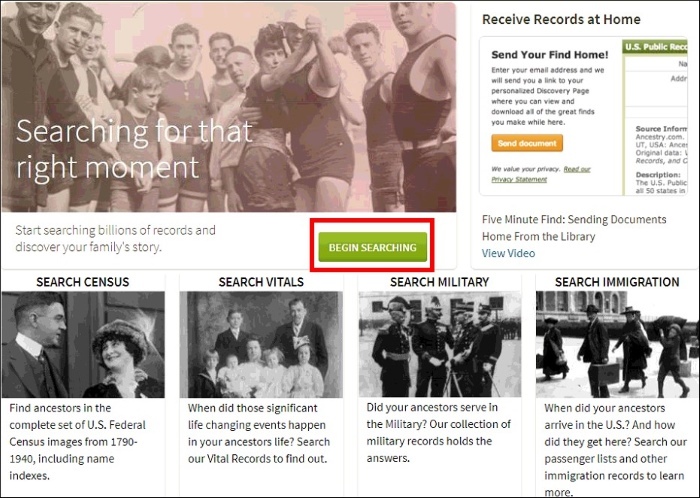 Then click the Begin Searching button as shown below to begin your genealogical research.